Our collaborator Eric Schlaepfer has been extremely hard at work this year, designing a truly monstrous follow up to our giant-scale dis-integrated 555 and 741 circuits. 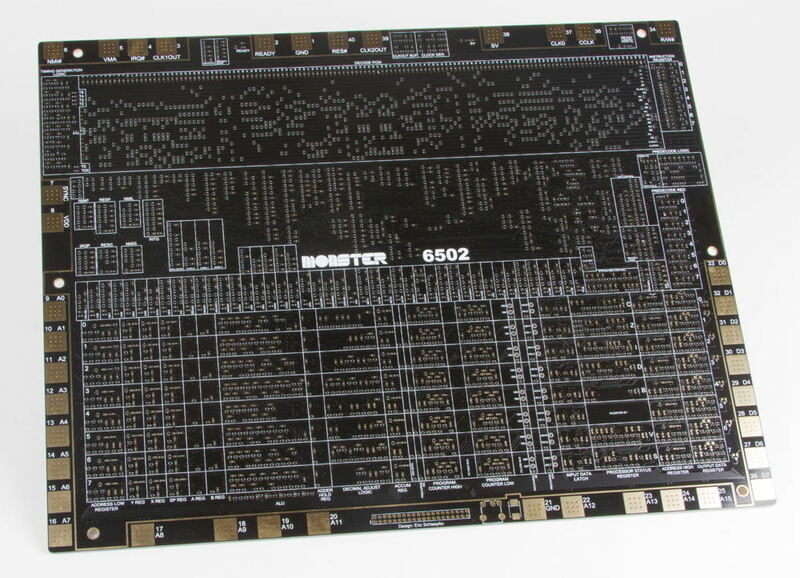 This is the MOnSter 6502: a transistor-scale replica of the famous MOS 6502 microprocessor, the processor found at the heart of influential early computer systems such as the Apple ][ and the Commodore PET. 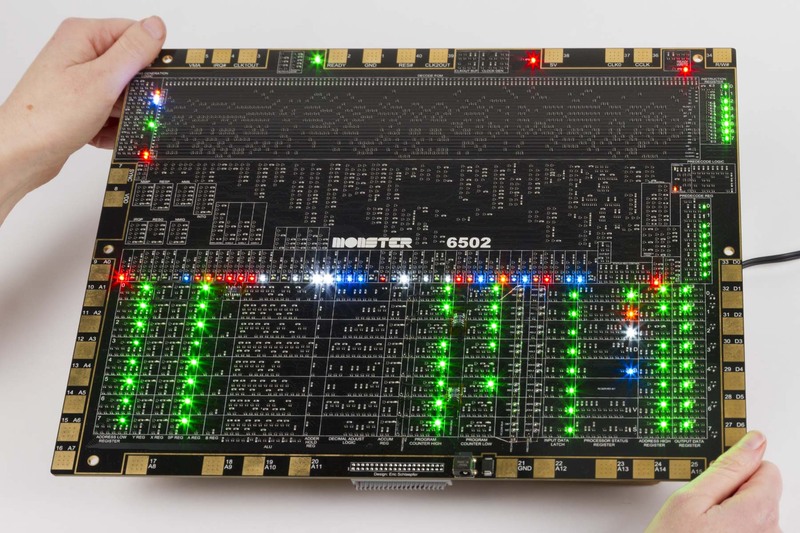 It is huge, at 12 × 15 inches, with over 4000 surface mount components, and 167 indicator LEDs added throughout so that you can see the flow of data. This is a new project, still underway. 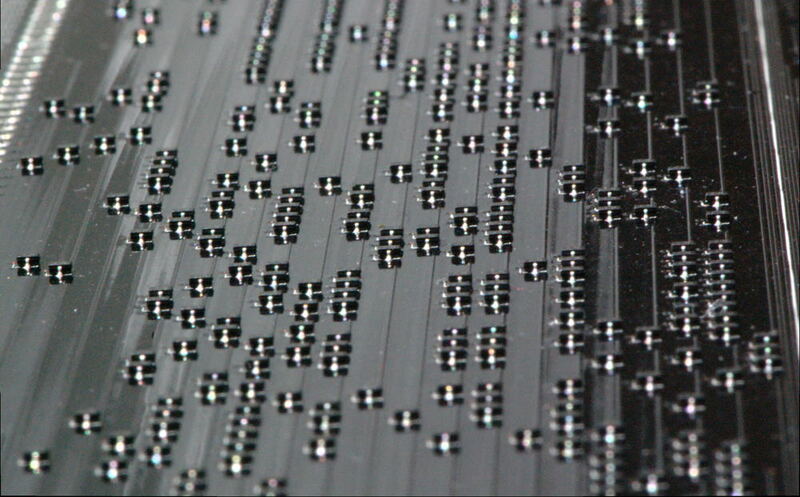 We will be showing off the first prototype of the MOnSter 6502 at the Bay Area Maker Faire this coming weekend. We don’t promise that it will be completely working by then — this is a first stab at an extremely ambitious project — but we’re genuinely excited to show it off in this early stage. You can read more about the MOnSter 6502 on its main project page, monster6502.com, and at Eric’s blog, tubetime.us. 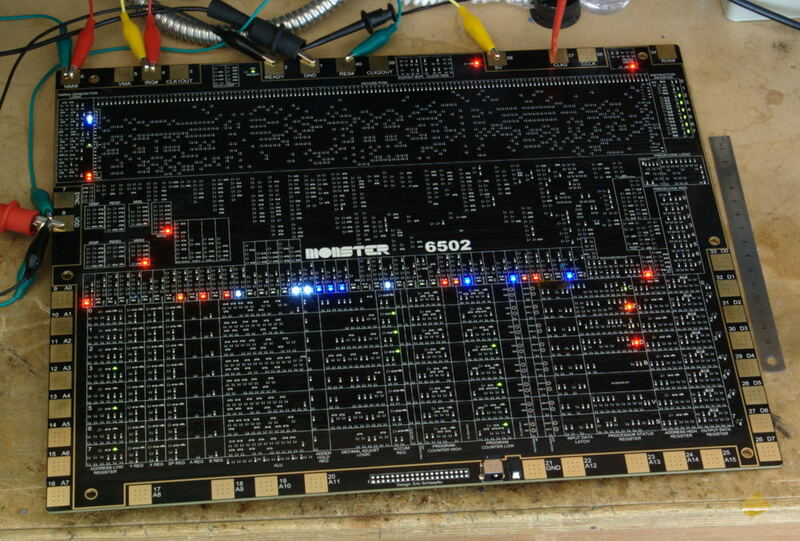 This entry was posted in Electronics, EMSL Projects, Engineering, Vintage Technology and tagged 6502, MOnSter 6502. Bookmark the Permalink.